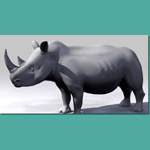 The Rhinoceros (or Rhino) is any of five surviving species of odd-toed ungulates in the family Rhinocerotidae. Two species are native to Africa and three to southern Asia. Four of the five species are critically endangered, and the other, the Indian Rhinoceros, is endangered. 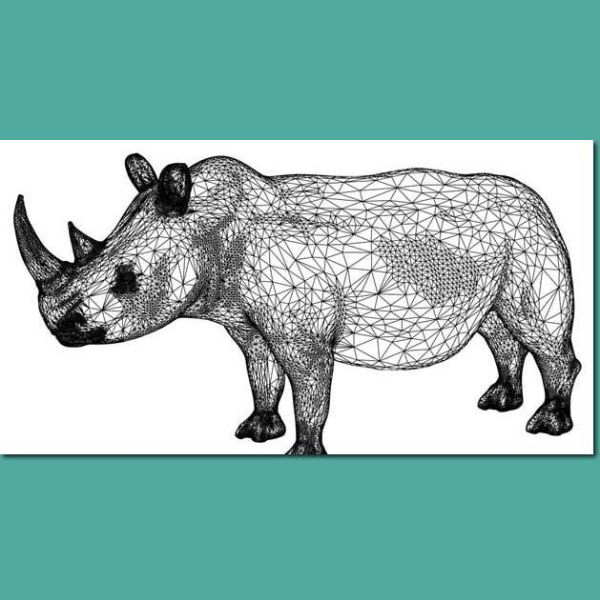 The word "rhinoceros" is derived from the Greek words rhino, meaning nose, and keras, meaning horn; hence "horned-nose". The plural can be rhinoceros, rhinoceri, or rhinoceroses. The family is characterised by large size (one of the few remaining megafauna surviving today) with all of the species capable of reaching one ton or more in weight; herbivorous diet; and a thick protective skin, 1.5-5 cm thick, formed from layers of collagen positioned in a lattice structure; relatively small brains for mammals this size (400-600g); and its horn. The rhino is prized for its horn. Not a true horn, it is made of thickly matted hair that grows from the skull without skeletal support. 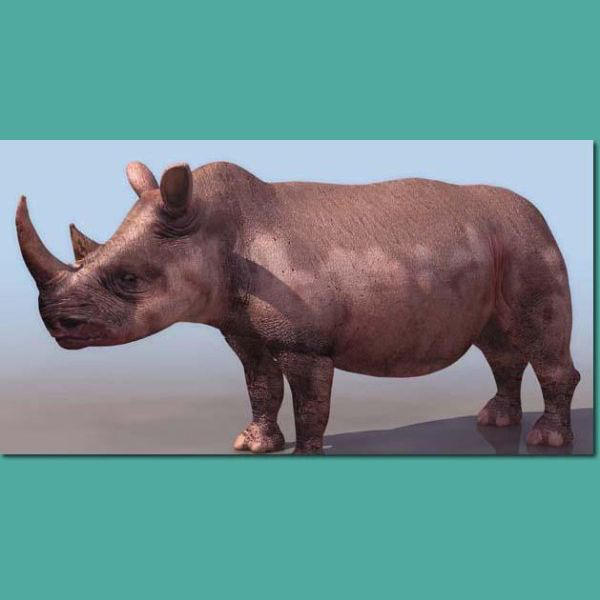 Rhinoceros also have acute hearing and sense of smell, but poor eyesight over any distance. Most rhinoceros live to be about 50 years old or more. The collective noun for a group of rhinoceros is "crash". Both African varieties have two horns in tandem while the Asian types have a single horn.